This is one of the best apps for the Android users. You should be able to make calls by showing any number you want to show on the caller ID. You can change your voice so that no one can recognize you. 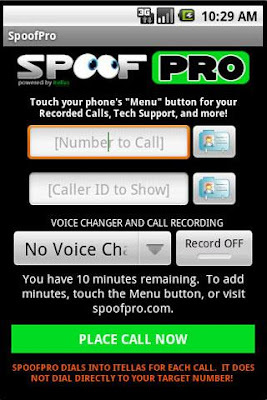 Making prank calls to your friends would be so easy now. But remember one thing, you should keep it legal. It also has an additional feautre and that is you can also record calls and listen to them within the app. This app costs $0. It gives you 10 free minutes to use. After that, you can purchase more from the market. When you notice that your phone is running too slow and it is taking more time to process any app than it used to take before. You should get 1-Click cleaner. The reason of slow speed is that your phone's cache memory gets filled with the passage of time and when this happens your phone starts processing slower. So, by only one click, you can clear all the cahe files. If you want to know about any app details, you can also do that by using this app. Even you can transfer your apps to the memory card in order to get fast processing. What 1-click can do for you, you'll get to know when you get this app. 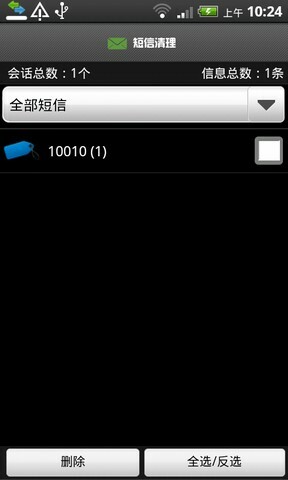 This app also has a Deep Clear option that will help you to delete all the files that are useless from the phone as well as SD card. Want more with one click? You can delete all the browsing history, SMS and call records by just 1-click. It has a simple user interface that makes it easy to understand it easily. This app is available for free. Now you can search channels with the help of this app. 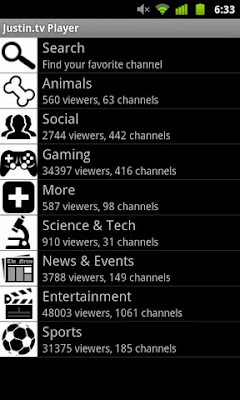 This app also has a feature that allows you to search the channels by catagory. A little confusion should be cleared right here that this app does not stream the camera to the official justin.tv and this app is an unofficial app. So if you want to go for the stream of justin.tv websilte, there's another app available in the market. There was HD issues in this app which has been cleared recently. Watching broadcasts in phone friendly format was never this much fun. This player do need flash so make sure you have flash installed in your phone.It's supported for Android 2.2 or higher. Now let's come to price. You don't have to pay anything for its download. It's free.